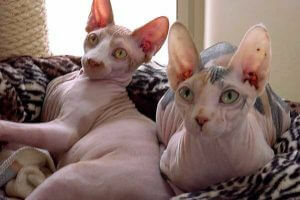 There are many different respiratory issues that a pet may encounter in his lifetime. Just like humans, respiratory problems in pets may include symptoms like coughing, sneezing, runny nose and chest congestion. 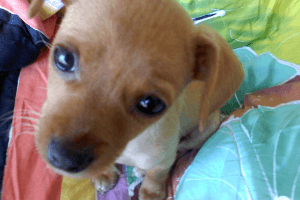 Do not ignore these symptoms if you notice your dog or cat is battling with them. When your dog or cat is down with a respiratory problem, you want to do something about it that makes a real difference. It needs to be safe, effective and easy to do while still producing the desired results. That is exactly what the Nzymes Healthy Respiratory Program is all about. This approach starts with Ox-E-Drops. Ox-E-Drops is our most versatile product; the drops can be taken orally in the food, added to the water, made into a topical solution, and added to a vaporizer to be inhaled! Chlorite ions are a constituent of the Ox-E-Drops and are quite effective against a variety of nasty micro-organisms – including those that lodge in the breathing passages. The first step is getting the Drops INTO the pet. 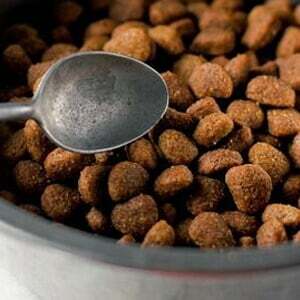 We recommend adding the right amount of drops pe r size of the pet into the food and also the water. 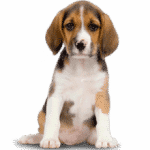 With breathing conditions, some pets become lethargic, barely eating or drinking, so it may be necessary to administer the drops to them via an oral syringe. You may employ any or all of these methods. The important thing is to get the drops into the pet. Used internally, the drops react with the body’s own natural chemistry, releasing ions throughout the system via the bloodstream. This is a positive support for the immune system. water reservoir found on a vaporizer. Let the pet breath the vapors. Pretty simple, huh? 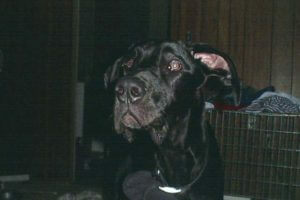 For best results, put the pet in a kennel or carrier and cover with a sheet, allowing the vapors to concentrate inside. After 15 minutes, pull the sheet back and let the vaporizer continue to run. Repeat this every hour or so. 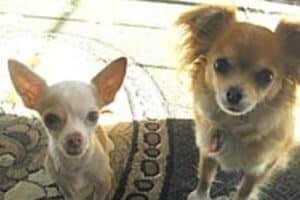 If a kennel or carrier is not available, make the pet comfortable in a small enclosed space, like a small bathroom, and allow the vaporizer to run. Sessions should last 1-2 hours with this method. Overnight: Wherever your pet is comfortable sleeping, you can allow the vaporizer to run nearby. The vapors are safe to breathe for everyone, so the vaporizer can run in your bedroom if that is where your pet sleeps at night. Purpose: By inhalation, the Ox-E saturated vapors are able to penetrate into the mucosal tissues in the breathing passages, providing direct contact to the affected areas. For added support, choose our Healthy Respiratory Kit. 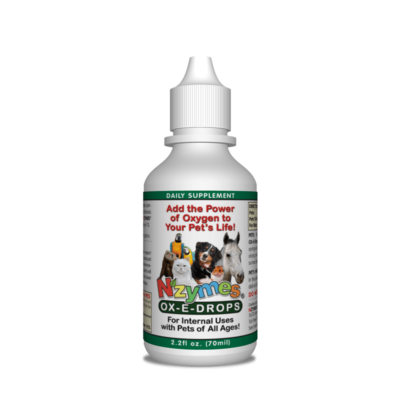 The Kit includes 1 bottle of the Ox-E-Drops and also 1 bottle of our Antioxidant Treats for Pets. First of all, the Treats provide solid immune support for a body that is being challenged by respiratory stress. Furthermore, they are tasty! The Treats can be given by hand or crushed up and added to the food. 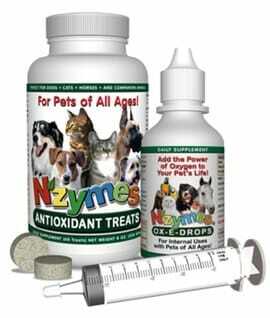 The Antioxidant Treats are our #1 seller and have made a positive difference in 1000’s of pets over the years. 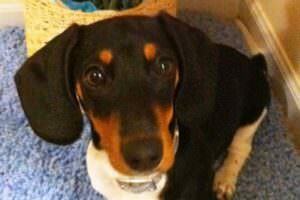 We know from experience what an important role they can play in helping pets overcome difficult issues. That is why we have made them a part of this specific bundle. With the Nzymes Healthy Respiratory Program, whether you choose the simplicity of the Ox-E-Drops alone, or the Full support of the Respiratory Kit, following these simple protocols, can speed your pet easier breathing. Please see the video below for Visual How-To Instructions, and example cases at the top of this page. Review the VIDEO Below to See the Simplicity of our Respiratory Program. You Can then Access PRINTABLE Instructions Below the Video. CLICK HERE – To Access and PRINT the Written Version of our Healthy-Respiratory Program Instructions. 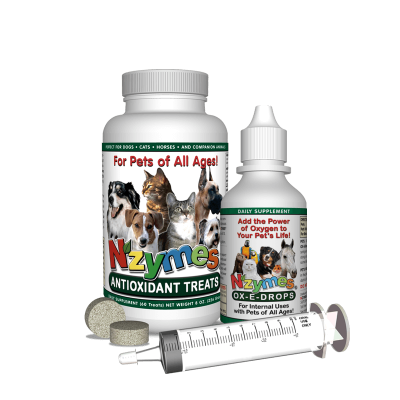 The NZYMES Healthy-Respiratory Program has been used successfully with thousands of dogs, cats, or horses (on occasion) over the years to provide effective support for recovery challenges from respiratory problems such as kennel cough, pneumonia, canine influenza (dog flu), or more minor issues such as basic coughing & sneezing problems. The instructional Video provided above will guide you through the simple process for a more ‘natural’ restoration of respiratory health for most any size of dog. 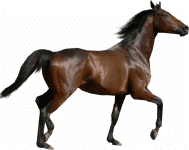 If you have an extra-large dog, OR want to use the program with your horse, please call for guidance in relation to product usage or vapor usage, especially where a horse may be the patient (due to the huge range of weight categories). 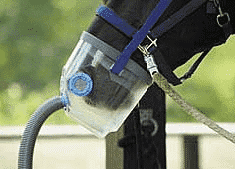 In such a case, a Nebulizer may be more useful for vapor delivery. 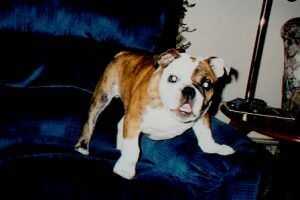 You will find NZYMES staff eager to help you with concerns about restoring health for your animal.